Whether you are a child, adolescent or adult, we are committed to helping you achieve the smile you deserve – a healthy, beautiful one! 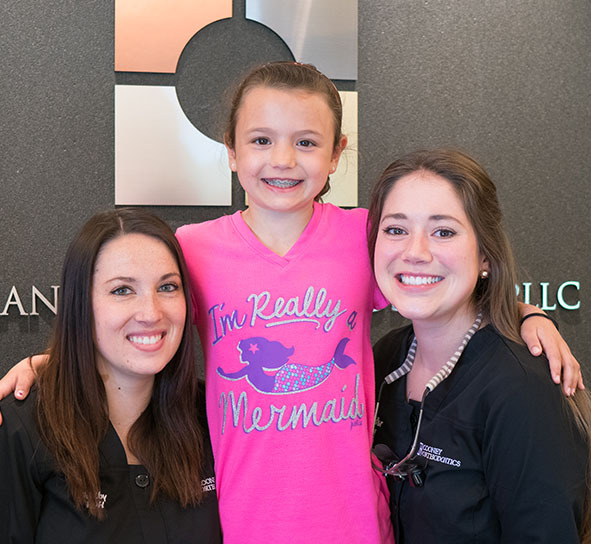 Cooney Orthodontics top priority for over 50 years has been to provide you the highest quality orthodontic care in a friendly, comfortable environment. We strive to start your orthodontic treatment at the most ideal window of opportunity of growth and development. This helps to ensure that you receive the best possible results in the most efficient manner. With our complimentary initial screening and tracking program, you can begin your journey to achieving an unforgettable smile. My teeth were everywhere and it didn't look that good and I think that it'll be really cool to have my braces off with my teeth straight for the first time. I actually looked forward to coming to my appointments and I was sad when I would see that I wouldn't be back for 2 or 3 months because I did enjoy the environment so much.